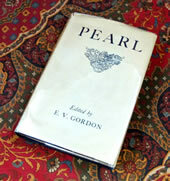 This is the 1953 First Printing of Pearl (see Hammond B22) edited by E. V. Gordon. 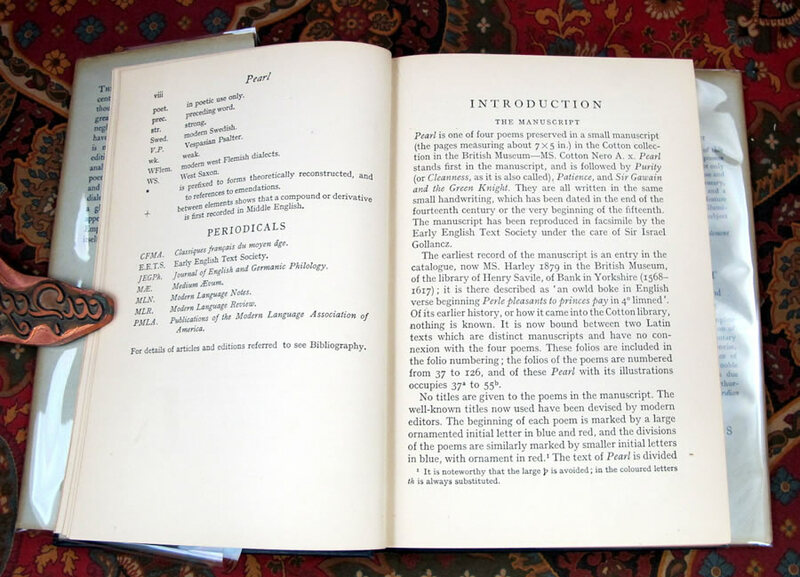 JRR Tolkien contributed notes and corrections as well as a small part of the introduction. 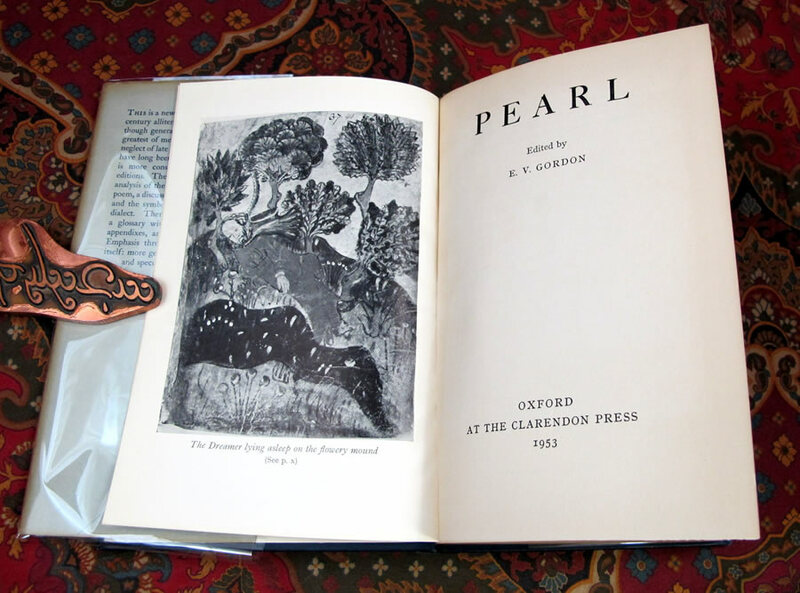 Published by Oxford University, the number of copies printed was small, limited to just 3000. The book has no previous owners names or any writing. The first free endpaper has an eraser mark to the top, slightly smudged. Small Foyles booksellers sticker on paste down, under the flap. 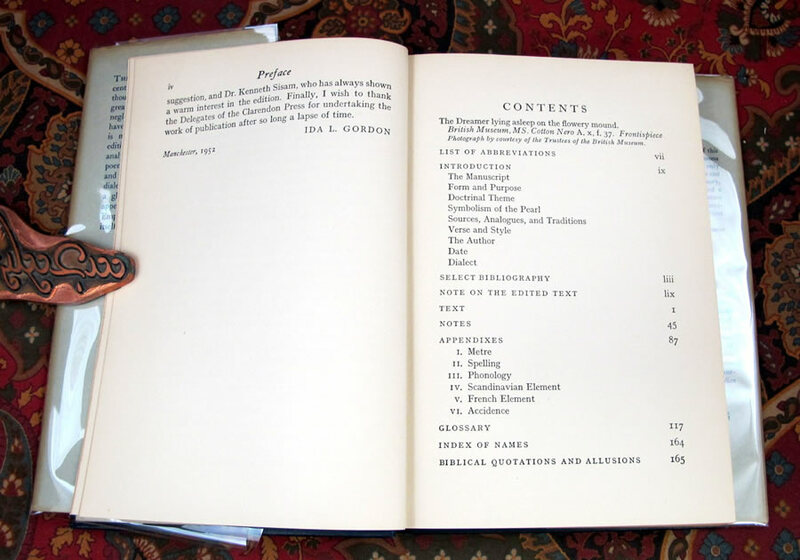 There is no foxing or offsetting noted in the book. The dustjacket is in Very Good Plus condition with tanning to the spine, some rubbing and loss to the tips and top of the spine area. 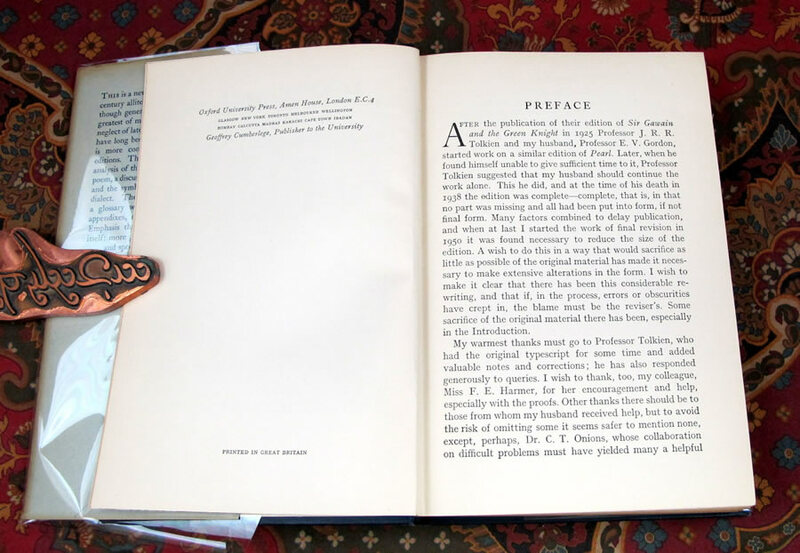 A faint moisture mark at the bottom of the spine, spreads approximate 2 inches onto lower edge of the front and back panel, did not penetrate the book or textblock. The dustjacket is priced and not clipped. A very scarce book in original dustjacket, for the Tolkien completest. 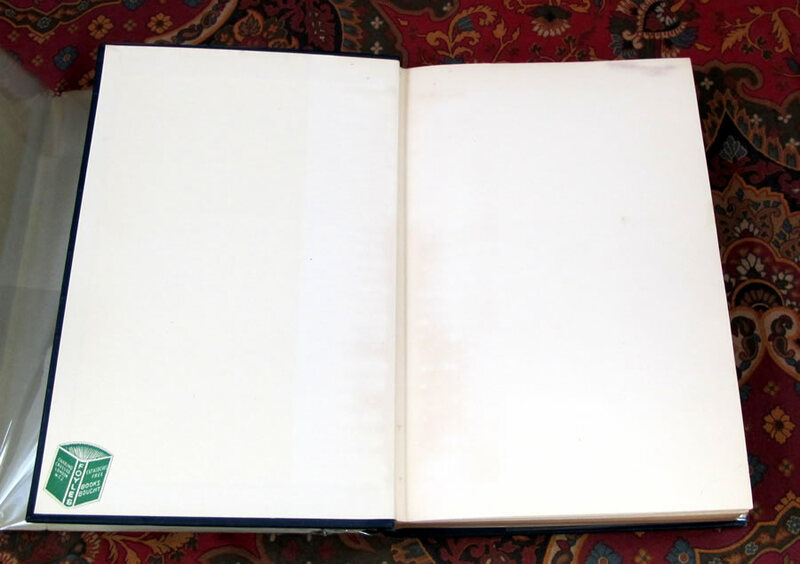 The pages are clean with no internal markings. 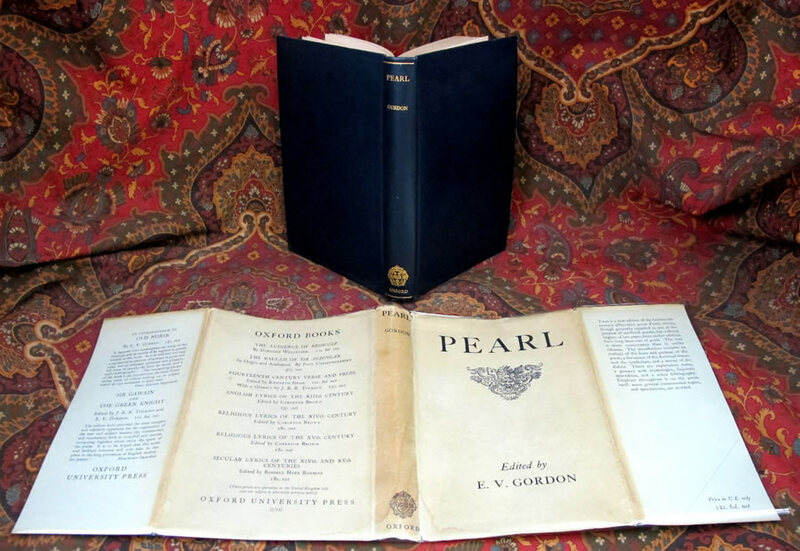 Overall, Near Fine/Very Good Plus for a sixty-year old first printing, now housed in a removable protector.